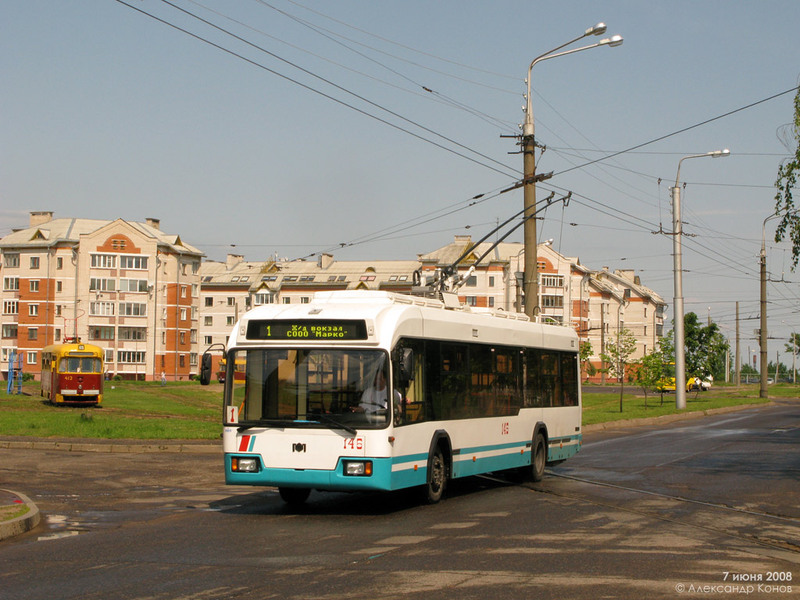 Now trolley buses run on eight routes in Vitebsk. Their total length is more than 157 kilometres. On weekdays, 76 trolley buses enter the line, and, on weekends, 48 vehicles run in the city streets. The average speed of trolleys is 15 km/h. If you want a closer look at the city, ride the longest trolleybus route 4 - its length is more than 29 kilometers. To go the route there and back will need 2 hours. The shortest and therefore the fastest route is № 3. Its distance is 11 kilometers, and you can ride a round trip in 54 minutes only. The minimum headway is from 4 minutes to half an hour, depending on the chosen route. The route №6 has a 90-minutes headway because only one trolley bus operate the line. Vitebsk public transport will help you not only get to know the city, but also to get acquainted with its significant attractions. For example, if you want to see the City Hall – it`s time to ride on trolleys №№ 2, 4, 7 and 8. You can see famous Vitebsk Medical University going on trolley routes № 3, 4, 5 and 7. Trolley buses 1, 3, 4, 5, 6, 7 and 8 pass Liberty Square, where the famous landmark of Vitebsk is located, well-known around the world - the Summer Amphitheatre. If you need to get on the train or bus station, use trolley bus routes №№ 1, 3, 4, 5 and 6.